Hello everyone! 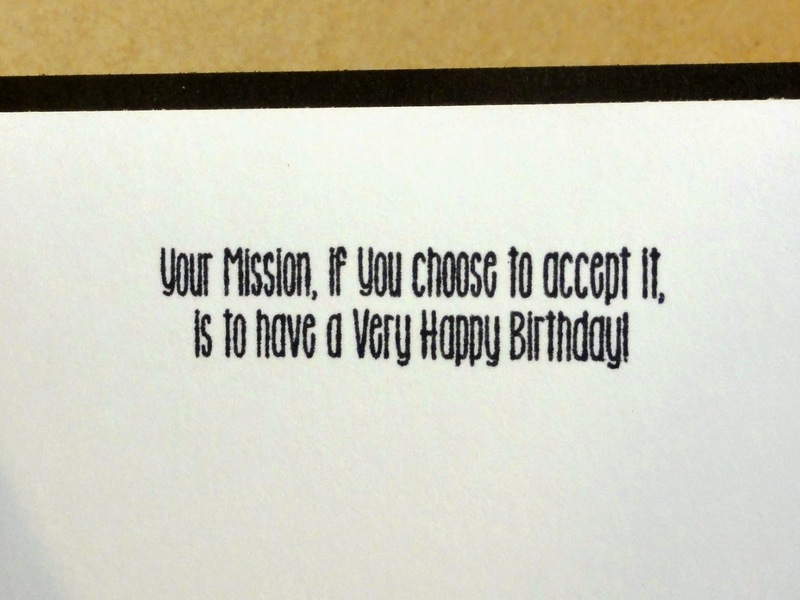 GiGi here from The Cricut Bug and I have a fun Birthday card to share. 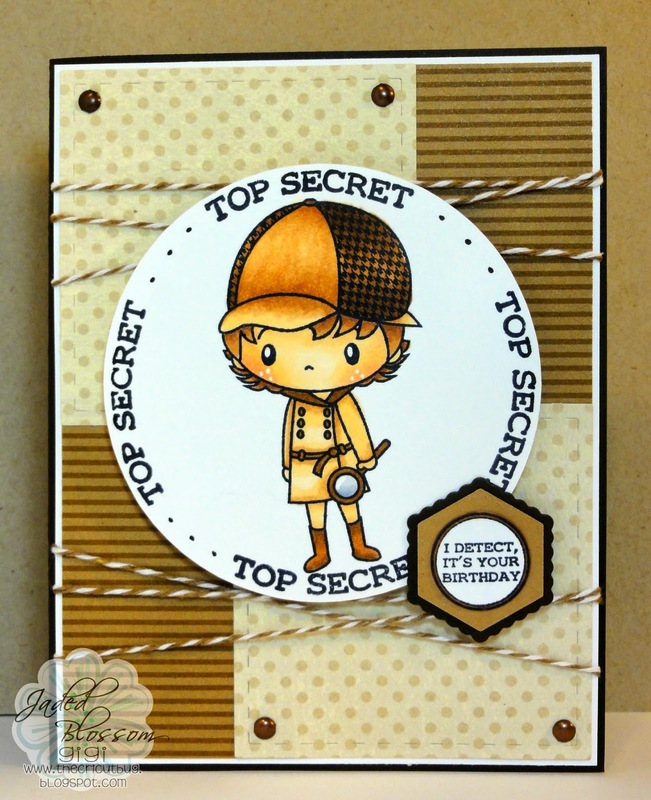 I used the Top Secret Treats, Detective Candies, Card Mat Dies, and Mini Tag Dies to create this card. These matching stamp sets made this card really fun and easy to make. A close up of the inside sentiment. To create the card base, I cut a standard A2 card with the mats. Then I used the Card Mat Dies to cut out the square mats and added them to the card with some brads on the top and bottom. I also added some twine wrapped around the card mats. 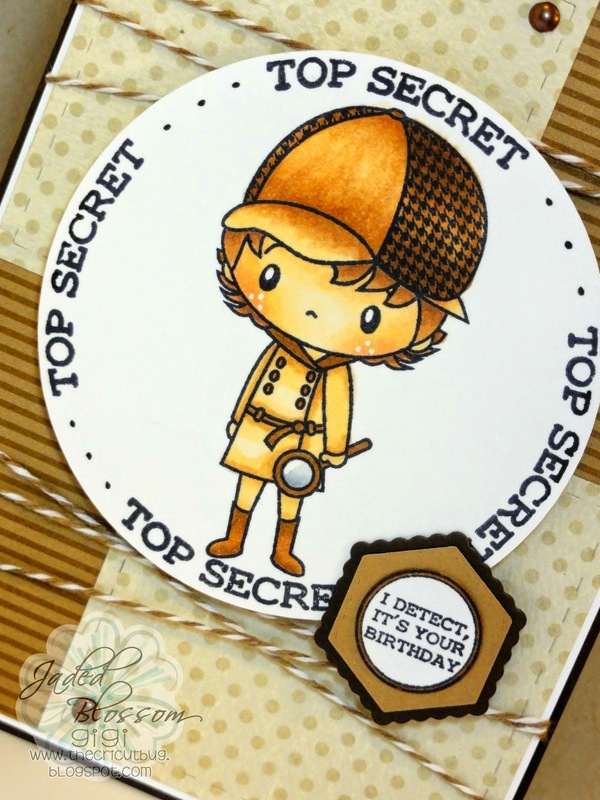 I cut a circle with my Cameo and stamped the "Top Secret" sentiment around the outside and added dots in between with a black Copic Pen. I stamped the girl into the center and colored her with Copic markers. The sentiment tag was cut using the Mini Tag Dies and I stamped and punched out the sentiment from the Detective Candies stamp set. To finish, I stamped the sentiment on the inside of the card. I hope you enjoyed seeing my project and thanks for visiting! I love it! love the colors!! love that it is perfect for a male bday!! I am going to scrap lift this! !